Designed to meet global standards in metrology and electrical safety, the GSE Scale Systems Model 350 I.S. and Model 355 I.S. deliver precision weighing in intrinsically safe hazardous environments. GSE Intrinsically Safe Scale Indicators are designed to meet global standards in metrology and electrical safety. The GSE Model 350 IS and Model 355 IS deliver precision weighing in hazardous environments. The Model 350 I.S. and Model 355 I.S. are designed to be intrinsically safe in hazardous environments and meet global standards in metrology and electrical safety with precision weighing. Smart features such as quick calibration, fast update rate, and process control configuration offer value-added flexibility. They are designed for use in multi-level applications and provide operator access for monitoring and controlling actions based on weight values. 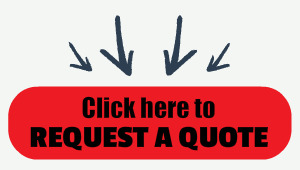 Please contact us for a quote today and be sure to mention your requirements and what classifications / divisions you need equipment for. The Model 350 I.S. 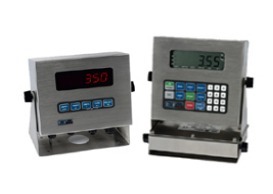 Indicator is ideal for applications where only the weighing event occurs. Where a keypad is required, the Model 355 I.S. Indicator is the perfect choice. We offer a choice of display types to suit your application. When an indicator is located outside or in direct sunlight, the LCD (Liquid Crystal Display) Backlit Display maintains excellent readability. Installation locations with low or no light will benefit with indicator models that have the bright, crisp LED (Light Emitting Diode) Display. These indicators can be powered by a battery pack in the hazardous area for applications where access to main power is an issue. The battery module is mounted on the indicator swivel bracket and the indicator has an annunciator to warn when the battery requires a recharge. Battery recharging must occur in a safe area. There is also a sleep mode feature for extended battery life. For applications where the indicators are providing data or controlling actions, a continuous power source is an available solution. The Model 350 I.S., and Model 355 I.S. Indicators are listed by the following agencies: FM Global (US, Canada), ATEX (EU), and CE (EU). The Model 350 I.S. and Model 355 I.S. are designed to be intrinsically safe in hazardous environments and meet global standards in metrology and electrical safety with precision weighing. Smart features such as quick calibration, fast update rate, and process control configuration offer value-added flexibility. They are designed for use in multi-level applications and provide operator access for monitoring and controlling actions based on weight values. Data communications and set point interfacing is performed in the safe area. The Model 350 I.S., and Model 355 I.S. Indicators communicate via the optional fiber optic interface. To complement our Intrinsically Safe instruments, we offer a complete line of Bench Platforms, Floor Scales and Tank Weighing Assemblies.